Microsoft is adding Miracast support for the Xbox One, giving users a way to mirror their phone and tablet screens on the console. Miracast could be useful for quickly viewing photos and videos on the big screen, though you can also use DLNA apps like Allcast for this purpose. It could also come in handy for sharing presentations, websites, and other documents. However, Microsoft notes that copy-protected videos won’t show up on the big screen if you try to mirror them. Other features in the April Preview for Xbox update include voice messages, user-selectable power modes, and the ability to turn the Xbox One on and off through the SmartGlass companion app. The update also enables some new features in the Windows 10 Technical Preview , including DVR for PC games, a new Avatar app, Live Tile support, and pre-installed drivers for the Xbox One controller. Why this matters: Miracast support has been a popular request among Xbox One users, with more than 2,000 people asking for the feature through Microsoft’s “user voice” website. 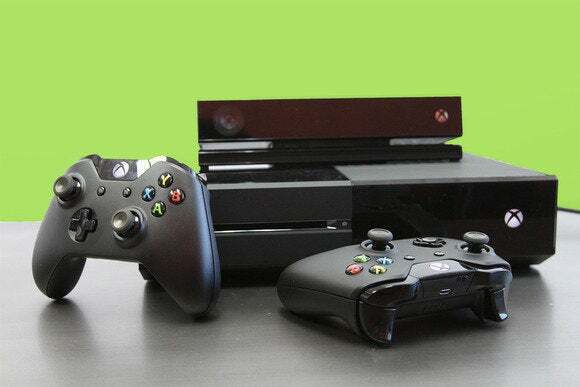 Although Microsoft built the screen mirroring capabilities into Windows 8.1, and released a $60 HDMI dongle to support the feature, the Xbox One has been left out until now.